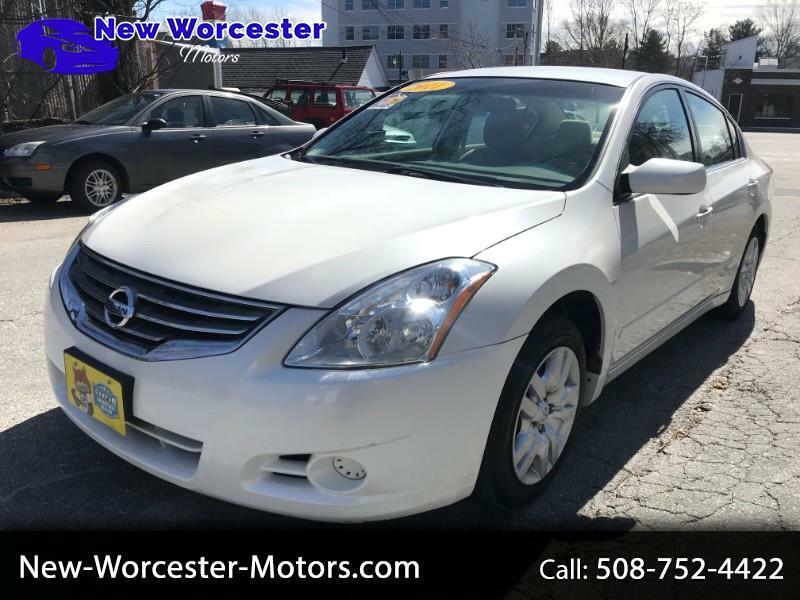 This 2011 Nissan Altima S has only 93K miles and is in excellent condition and priced right to sell fast. This vehicle has a Clean CarFax and has excellent service records attached as well. It's Pearl White exterior color with Grey interior are both in excellent condition and super clean. This vehicle is fully serviced and ready for delivery. This vehicle is equipped with the 2.5 Liter Engine, Air Conditioning; Power Windows; Power Locks; Power Steering; Tilt Wheel; AM/FM CD/MP3; Satellite; Immobilizer; Keyless Entry; Alarm; Dual Front Airbags; Side Airbags; Head Airbags; Rear Head Airbags; Active Seatbelts; All Wheel ABS and much more. Give us a call to schedule a time to come see and drive this vehicle today!